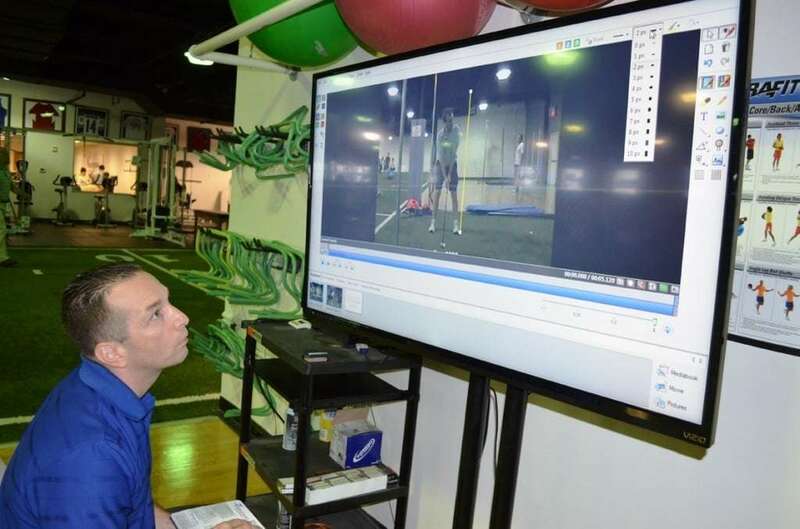 At the Professional Athletic Performance Center, our staff has a wide range of expertise with a variety of sports. If you do not see a specialty program listed for your sport, our coaches can still provide individual or team training for you. Training will consist of sport-specific skills as well as the elements of flexibility, strengthening, speed, agility, plyometrics, and stability. Professional’s Golf Fitness programs are customized to fit the needs of each individual golfer. Our golfers will start with a detailed Functional Evaluation assessing the body from head to toe. With the aid of DARTFISH™ video analysis, we examine the golf swing to determine functional limitations, and how they affect the golf swing. Based on the results of each evaluation, a customized program is developed to address the identified deficits. Plus, you will also receive a complimentary home exercise program! Please contact Scott Muggeo at 516 227 2373 to schedule an appointment, or to find out more about the Golf Fitness Program. Flexible scheduling and pricing for this program allow you to train at your convenience. Space is limited, so contact us today to reserve your spot! This specialized Strength and Conditioning program is designed to complement traditional in-water workouts for competitive swimmers. The program focuses on improving strength, power, flexibility, and core strength to get our swimmers to explode off the blocks, move efficiently through the water, and outlast their opponents. This program runs Tuesdays & Thursdays. The Throwing Analysis Program is designed for individuals who have begun an interval Throwing Program in their Physical Therapy sessions at Professional, or for individuals who would like their Throwing Mechanics analyzed to help prevent injuries. Throwing Analysis sessions are by appointment only, so contact us at 516 227 2373 for more information! This program is designed for the in-season athlete who is looking to maintain strength and speed gains made during the off-season. If you’re looking for a serious edge over the competition, our experts will design a custom program specifically for your team. Our Strength & Conditioning professionals work with your coaches to tailor a program specific to your team’s needs, which can be implemented at your facility or ours. This program is built with sport-specificity and position-specific training. This training program offers flexibility in location, and can also be designed to work within the team’s practice and game schedules. Analysis of an athlete’s running mechanics can be a valuable tool in the development of Speed, Agility, and Efficiency of Movement, as well as the prevention of future injuries. Post-analysis, a program can be designed to address any deficiencies or abnormal patterns that were discovered, with the goal of creating a stronger, faster, healthier, and more efficient athlete.